Servant God is available is available and ready for purchase! The books are physically located at the Loma Linda University Printing Services and can be ordered by calling 909-558-4552. Printing Services are open Monday through Thursday, 8AM – 12PM, and 1PM – 5PM, PST. On Friday, they are open from 8AM – 2PM. If you are in Loma Linda, you can also purchase the book at the Loma Linda University Campus Store. All of the proceeds are used for the reprinting and distribution of the book. There is a discounted rate for orders of 10 or more through the LLU Press. We pray that this book will help the building of God’s Kingdom! 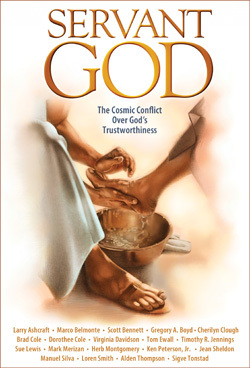 Servant God is published by Loma Linda University (LLU) Press. The department of philanthropy at Loma Linda University (LLU) has established a link so that people can electronically donate money to support Servant God. 100% of the money donated will be specifically earmarked for promotion and reprinting of the book. You will receive a tax-deductible receipt for your donation. We would also appreciate your help through word of mouth and social media to let others know about Servant God. Thanks so much!